Home » What Design Can Do? Time and time again the potential of design is evoked in times of crisis. Design is destined to solve the problems of the environment, educate people and save the world. This seems to be quite a lot and you have to ask yourself whether design and above all designers can really do that. What can design actually do? Above all, one that parents like to ask. But it still catches you off guard every time and you’re at a loss for a clear answer. It’s easy to put this down to the parents’ non-professional know­ledge of what design actually is. That is, not art, but something »proper«, with which you can actually do something. If you want to earn money as a service provider later on, that’s especially important. And, as much as a designer has to love their profession, most still find it difficult to describe what exactly it is they do. Mostly, it’s everything. Doesn’t this mean that the question of design’s function is justified? And does this amount to nothing more than the execution of a job and the economic goals of the customer? The question of efficiency and economic effects reflects a general idea of design. With all the fuss about trends like »design thinking«, in Germany, the land of poets and thinkers, this initial, poetic element of the pairing is still put down a little as aesthetic superficiality. Superficial in comparison to its counterpart, logical and analytical thinking. Because actually, Germany is the land of those who give »thinking« priority over design and really get to the bottom of things, as they prefer to design said things themselves: the land of engineers. Design is then merely the functional make-up for the machines and is only justified when it enables additional economic advantages. This is why »made in Germany« is the epitome of quality, the whole world over. But for most people, »designed in Germany« is just the ironic derivation of the quality seal, just as how »Bauhaus« is merely a DIY store chain for them. The term “design thinking” was coined by IDEO founder David Kelly and describes a creative approach to problem solving. It is based on the assumption that people of different expertise who work creatively in a team achieve better and more innovative results than a homogenous group of experts. This is the reason why designers would do well to look to our neighbours in the Netherlands, where there are entirely different preconditions for design. It’s a smaller country with less industry which is having to concentrate more and more on trade and—if you like—on communication. Dutch graphic design therefore has a quality entirely of its own and enjoys a different level of appreciation, not only because of the population’s growing awareness for this creative potential, but because of actual support from the government, who follows its belief in design with action. It sees in the Netherlands a melting pot of creative industries and a pioneer for new creative solutions in many different areas of society. The world’s first design museum is also located in the small city of Breda, not far from Rotterdam. 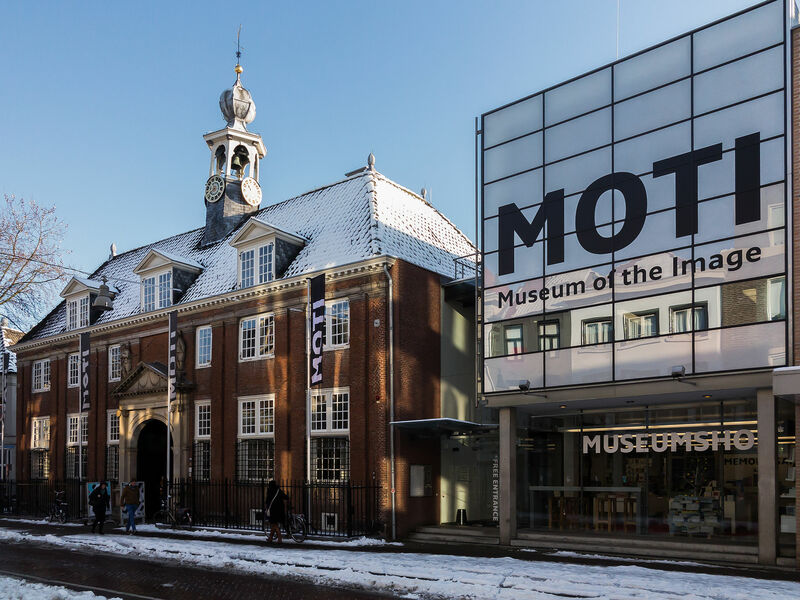 Opened in 2008, the Graphic Design Museum Breda was renamed Museum of the Image (MOTI) in 2011. 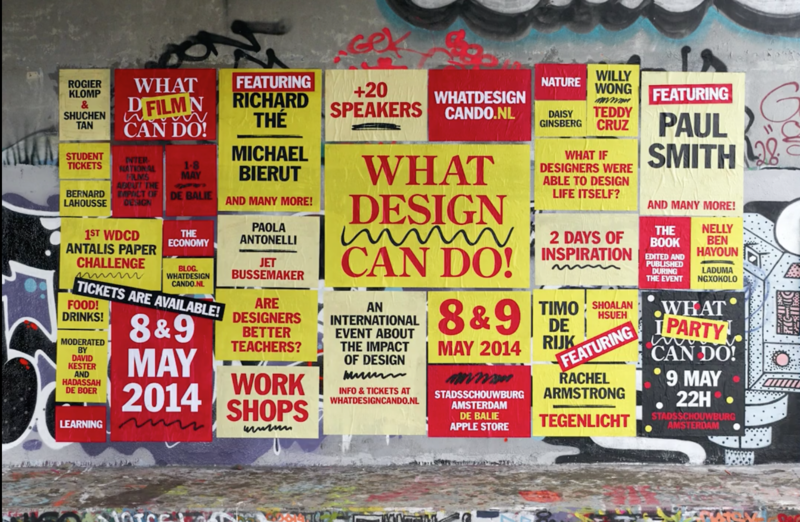 The Festival What Design Can Do, organized by Richard van der Laaken, has been held annually in Amsterdam since 2011. So the Dutch starting point is different from the one in Germany. Perhaps this is why ­Richard van der Laaken can much more confidently and enthusiastically not only ask himself about the possibilities of graphic design silently and in private, but can turn the answers into an entire festival. What Design Can Do! takes place every year in a surprisingly central and very visible location in the Stads­schouwburg in Amsterdam. And even more surprising is everything that the festival brings together under the broad umbrella of design. After the opening speech by the Dutch minister for education, in whose eyes designers are »competent rebels«, Daisy Ginsberg begins her presentation—and for a brief moment you could think you’d ended up in the wrong event—about biology. And that’s despite the fact that she’s a designer herself. The initial conflict, the one between light-hearted design and serious science, is immediately put to rest by her activity in both. As others combine different colours and fonts, Ginsberg works with microscopic bacteria and calls the whole thing SyntheticAesthetics. What can a designer like Ginsberg do? Pretty much everything, from optimum dietary supplements to diagnosing cancer, thanks to the colourful bacteria in the stools, which Ginsberg has brought along in a sample (luckily packaged). Following on from Ginsberg’s thread of design as a planning and development process, Richard The, a young German designer, reports on the development process in the interface design for Google Glasses, the latest coup by the American company for expanding the real world through the digital world. How much can such glasses actually show, without the user going home with a headache every day? And when will these be left out in the cold, with too little design and guidance? Finding the right balance here is also a task for the designer, who becomes the planner of the interface between humans and technology. 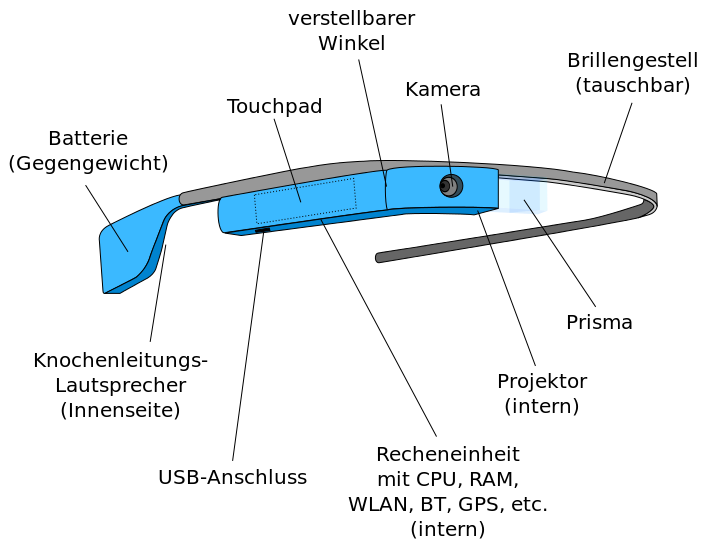 Google Glass launched in the US in April 2014 and was celebrated as a new milestone in the development of technology. In 2015 the sale of the device was however already discontinued and at the end of the same year by Google’s finance board designated as a flop. Apparently, mankind was not yet ready to take this next step into the process of immersion. The star guest of the first day, fashion designer Paul Smith, has an entirely different view to that of strategic planner. In his description of his career path—he actually wanted to be a racing cyclist—from unsuccessful salesman in a small boutique in Nottingham, who took one day a week for his own designs, to designer and head of a global fashion label, one thing is clear: if you don’t play the game, you’ve already lost! Whether it’s the design for a new fabric which he discovered in a small church in Italy, or the sporty cut of a new shirt: designers find inspiration everywhere. And if they don’t find it, then they just haven’t been looking right, according to Paul Smith. Design great Michael Beirut, partner in New York agency Pentagram, reports something similar. Go your own way and, at the same time, seriously look after your customers. Because a designer is a businessman just as much as he is a ­creative consultant. And even though it’s often just a question of good taste—and for Beirut this always means black and white—the designer still has to justify this and be able to convince others of the quality of this decision. Much of what constitutes design therefore is in the fine points and the details that almost no one else can or wants to think about. Whether it’s the architecture of a house with actual breathing walls or the skilful structure of a typographic layout—no one’s going to read it anyway doesn’t count here as an excuse. Because design is read, consciously or subconsciously, and thereby influences the living environment of everyone. This is attested to by the many designers and their examples at What Design Can Do!. As much as the readability of things is also down to design, given the array of possible design professions that the ­festival ­presented, and the other ones that we ­actually just have to invent ourselves to try them out, the question remains: is this all really still design? Because, given all these fantastic examples, there seems to be almost nothing left that design can’t do. But this doesn’t bring us any closer to a concrete answer to the question, what exactly can design do? 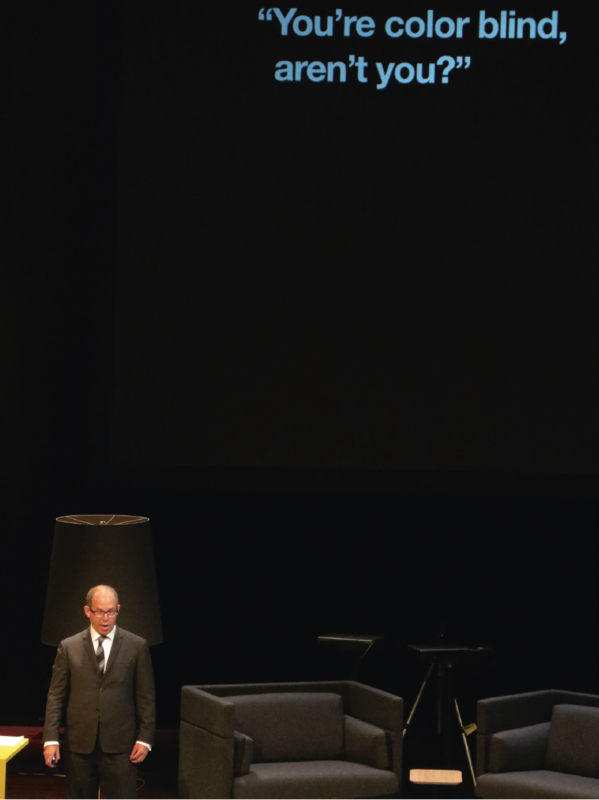 Michael Bierut at his presentation at What Design Can Do. The entire lecture was concerned with his taste for a design that is completely black and white. The assumption that we can use the term »design« from biology to architecture and city planning, right through to advertisement design seems to ennoble the abilities of designing. But perhaps this is simply testing how far the term »design« can stretch until it breaks. Lucas Verweij in his critical presentation at the end of the festival commented on the inflation of design, from service design, to nail design, to—look out, brand new!—drug design, and the associated, falsely built-up hope that design could solve all the world’s problems. It may be commendable when a designer decides to build furniture out of plastic rubbish on beaches, but he’s not going to solve the problem of pollution by doing so. And even worse, with his design working superficially on the symptoms, it obscures the problems, while claiming to want to solve them. And when has design ever really done much for environmental protection? From this point of view, too much design can also become a problem. Even after What Design Can Do!, we are still on the search for an answer to the question of what design can do. And, related to this, the search for the answer to the perhaps much more important question of what designers actually want to achieve with their design. Can all the problems of the world be solved by design? And do we actually want to solve them by design? When it comes to the question of design’s function and its professed skill at finding the perfect solution to any problem, a highly military perspective of planning design is reflected. As if all you would have to do is apply design to the circumstances and population correctly to achieve the desired effects. Such an approach would sooner or later lead to total design, where we would have to keep asking ourselves which all-knowing planning master is actually specifying this optimum functional design. Design cannot have a determined, optimum manner of functioning that simply has to be applied over and over again. If design were to end with the designer’s design every time, this would be the end of any development. Because, if there’s one thing that designing things makes clear, it’s that these things could always be designed differently to how they are now; that perhaps there is no ­single optimum form. It is here, where a design appears to be finished, that space for false interpretations and reinterpretations by every new potential user opens up. No one gets to the heart of this better than Karl Lagerfeld: »You must always assume that women will wear the dresses you’ve designed.« And time does the rest. There is no brand without a redesign, and even Chanel needed Karl at one time, to acquire new splendour. Karl Lagerfeld has been the creative director at Chanel since 1983. 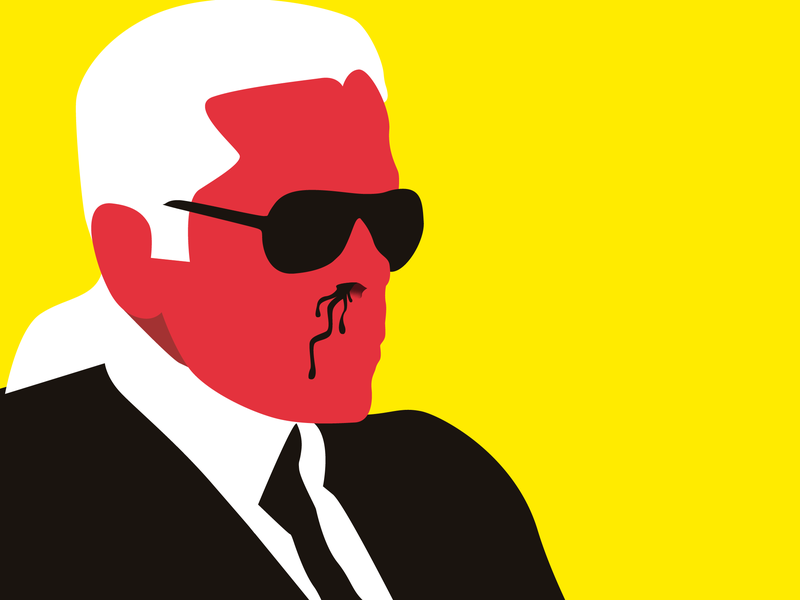 The revival of the brand as well as the rise to a billion company is attributable to the work of Lagerfeld. Perhaps this is one of the reasons why the term design is constantly expanding to include new, unfamiliar fields and possibilities. Because much of that which constitutes the ability of the designer is precisely the opposite. In the design process, the non-ability, the trying out, the conquering of unknown territory and open questions instead of definitive answers play a central role. It is precisely here where the strength of design lies, as a discipline between culture and technology, between aesthetics and science. In non-ability. For example, design has always been attempting to find new visual expressions for social groups who were not previously considered. A design, fashion and expression of one’s own enables identification with a new lifestyle, with a new attitude towards life in the most positive sense. By asking new questions and trying out possible answers, design opens up a new future. Throughout design, this open, new, potential future is not only logically understandable for others, it is also aesthetically tangible. This is why the functions of design are also so hard to pin down. Because design is always on the search for new functions and tasks. These may come from the designer themselves, or from a customer. At the same time, design remains accessible to everyone, and by providing a possible answer and creating new identities is always an activity that has an influence on society. And through these new answers, which, in turn, are always new, open questions as well, design can trigger new discourse and change. Designers should be aware of this potential. Karl Marx once said that all philoso­phers do is think about the world. Perhaps designers can influence the world foresightedly, with backbone and real poise, always aware of their own limits, and thereby ultimately also change the world. I’ll continue to owe my parents a simple answer, and yes, there are no doubt easier ways to earn a living. Felix Kosok is a research associate at the University for Art and Design Offenbach. The topic of his dissertation is the interdependence of design and democracy. He is particularly interested in the critical influence that design can have on society.